On May 10, 1956, a U. S. Air Force T-33 jet trainer took off from Suffolk County Air Force Base in Westhampton, Long Island, New York, for an instrument check flight. The pilot was Captain Howard M. Blanton, 32, of Baltimore, Maryland, and the observer was First Lieutenant William J. Reichard, 26, of Berwyn, Illinois. The aircraft headed eastward out over the Atlantic Ocean. At some point the crew discovered that the radar compass wasn’t working properly, and that they were lost. They flew for a period of time until picked up by radar at Montauk Point, New York, and Quonset Point Naval Air Station in Rhode Island. By now the jet was running low on fuel, and being closer to Rhode Island, was given emergency clearance to land at Quonset. 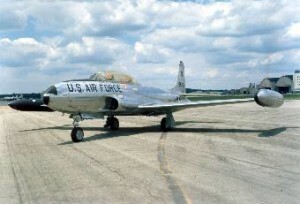 At about 12:30 p.m. the T-33 ran out of fuel as it approached Block Island/New Shoreham, which is located three miles off the Rhode Island Coast. The crew ejected and the jet went into the water about a half-mile east of Block Island. Both crewmen landed safely in the water several miles apart from each other and rescue craft were immediately dispatched to the area. Navy and Air Force helicopters found the men quickly due to the yellow dye markers each had carried, and directed surface vessels to their locations. Both men were still alive at this point, but the cold temperature of the water was sapping their strength. A sling was lowered form the Quonset helicopter to Lt. Reichard who managed to grip on to it, but moments later he fell back into the water and became entangled in the cords of his parachute. He was retrieved by the crew of a Coast Guard boat, but wasn’t breathing when hauled aboard. The crew attempted to revive him with artificial respiration without success. Meanwhile, another Coast Guard boat recovered Captain Blanton, and he too was not breathing. Attempts to revive him also failed. On April 10, 1944, a U.S. Navy, North American SNJ-4 Texan, (Bu. No. 26988), with two men aboard, left the Lakehurst (N.J.) Naval Air Station bound for the South Weymouth, (Mass.) Naval Air Station. The pilot was Herman Walter Smith, age 38, a pilot for the navy, and with him was Daniel Layton Humm, age 34, a civilian. While passing over southern Rhode Island the men found themselves surrounded by heavy fog. It was while flying in fog that the aircraft clipped the top of a 60 foot tree, causing the plane to crash and burn about 300 feet beyond, killing both men. The crash occurred just to the north of Walsh Pond, about a half-mile north of Post Road, (aka Route 1), almost in line with Matunuck Beach Road. Lawrence Webster, Aviation Historian, Charlestown, R.I.
On September 4, 1942, a Navy plane with two men aboard crashed in the water about 1,000 yards off Beavertail Light in Jamestown. At the time, the area known as Beavertail was occupied by a coastal artillery unit to protect Narragansett Bay, and Beavertail Light was occupied by the U.S. Coast Guard. Today the area is a state park, and the light is automated, and now serves as a museum. The crash was witnessed by shore personnel, four of whom entered the water and swam out to rescue the airmen. They were identified at Privates First Class V.S. Sousa, and F. A. Hamilton, Corporal D. A. Corey, and Seaman Second Class R. F. Kirscher. The men reached the wreck at the same time as a passing Coast Guard boat. The plane’s crew consisted of (Pilot) Lieutenant (Jg.) Harry K. Stubbs, 29, of New Bedford, Massachusetts, and Aviation Machinist’s Mate 3C Fred Schumm, 20, of New York. Lt. Stubbs was unconscious from a head injury, while Schumm was cut and bleeding in several places. Both were taken to the Fort Getty hospital located at Jamestown. The type of aircraft was not stated. It was reportedly recovered. Lt. (Jg.) Stubbs survived the WWII and remained with the navy afterward. He died on June 24, 1946 when the aircraft he was n crashed on take off from the Chincoteague Naval Auxiliary Air Station in Virginia. Two others in the plane were also killed. Commander Stubbs was born in Shawmut, Alabama, on August 3, 1913, but the family later moved to New Bedford, Massachusetts, where he grew up on Bridge St. He graduated Fairhaven High School and Silver Bay Preparatory School, and Columbia University. He entered the Navy in May of 1937, and began his flying career at the navy base in Squantum, Mass. He served aboard the aircraft carriers Lexington, Wasp, Enterprise, and Manila Bay. During the war he commanded Composite Group 80 aboard the Manila Bay, which took part in a six month tour of duty in the Philippines. During his service he is credited with shooting down two Japanese aircraft. Among his medals earned are the Silver Star and Distinguished Flying Cross. He’s buried in Riverside Cemetery in Fairhaven, Mass. Fiarhaven Star, “Commander Harry K. Stubbs Dies In Airplane Crash”, June 27, 1946. 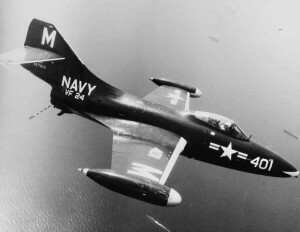 On Sunday, November 4, 1951, a flight of several U.S. Navy, Grumman F9F-5 Panther jets took off from Quonset Point for a routine training mission. While over the Newport metropolitan area, one of the aircraft (Bu. No. 125269) suddenly began trailing “yellowish smoke” and loosing altitude. The pilot, Ensign Ralph Anthony Lennon, 23, of Flushing, New York, elected to stay with the aircraft to maneuver it away from a populated area and aimed the plane towards the water near Easton’s Beach. Witnesses on the ground reported that after trailing smoke, the plane suddenly burst into flame and began to break apart. The tail section came down on top of a home at 77 Cottage Street while the main body of the plane came down on property at 396 and 428 Gibbs Avenue. Cottage Street intersects with Gibbs Avenue, and the three locations are close to each other, and close to Easton Pond behind Easton’s Beach. Ensign Lennon was killed in the crash. Had he not stayed with his aircraft it would have crashed in downtown Newport where the streets were crowded with people and traffic. As it was, pieces of his jet rained down over an area a 1/2 mile from the crash site, with one piece reportedly narrowly missed a baby sleeping in its carriage. There were no reports of anyone on the ground being injured, and the debris that landed on homes didn’t start any fires. Thousands of onlookers descended on the area, sifting through debris, trampling the scene, and hampering fire and rescue efforts. The cause of the accident wasn’t immediately apparent. Ensign Lennon was born October 9, 1928. He graduated from Cardinal Hayes High School in The Bronx, N.Y., and the University of Iowa, before joining the navy in 1946. He was a veteran of the Korean War, and at the time of his death was attached to VF-71, then stationed at Quonset Point. He’s buried in Long Island National Cemetery in Farmingdale, New York. Newport Daily News, “Navy Jet Plane Crash Spectators Give harrowing Stories Of Incident”, November 5, 1951, page 1. Newport Daily News, “Navy Salvage Crew Clears Scene Of Jet Crash”, November 6, 1951, page 3. On the morning of September 29, 1942, a U.S. Navy Grumman JF-1 Duck, (Bu. No. 9455), and a U.S. Army P-40 fighter, (Ser. No. 41-14218), were involved in a mid-air collision over the Sakonnet River. A security guard who’d witnessed the incident said that there had been three aircraft in close proximity to each other just prior to the accident, and that after the collision, two of the planes fell into the river. Another witness to the accident was George Helger of Tiverton, who was working on his scallop boat off Jack Island Point south of an area known as Stone Bridge. He saw two parachutes deploy and watched as the aviators dropped down into the water, and immediately went to their aid. The first man he reached was Lt. Cmdr. Clarence A. Hawkins, the pilot of the Grumman aircraft. After rescuing Hawkins, Helger set off to save the other man, 2nd. Lt. Robert A. Marsh, 24, the pilot of the army airplane, but Marsh sank beneath the water before he could be reached. Helger also came upon a body floating in the water and retrieved it. The parachute the man was wearing hadn’t been opened. He was identified as Aviation Machinist’s Mate 3/c James Harris Elmer, Jr., 18, of Bridgeton, New Jersey. Elmer had been aboard the Grumman craft. It was also reported that a third man aboard the Grumman airplane, a radio operator identified in the press only by his last name, “McAlendon”, was missing. Update: According to U.S. Navy report 43-4907, the missing man was RM2c H. D. McLendon, and not “McAlendon”. He is identified in the report only by his first two initials. No further information is available as of this update. At 10:30 a.m. on June 28, 1942, army aviator (rank unknown) Robert M. Flanders, 24, was killed when the airplane he was piloting crashed at the water at the east end of Hope Island, which is located in Narragansett Bay, just off shore from the former Quonset Naval Air Station in North Kingstown. The type of aircraft and details of the accident are unknown. Larry Webster, Aviation Historian and Archaeologist. 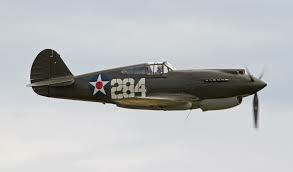 Update March 2, 2016: This accident occurred while Lt. Flanders, and 2nd Lt. David H. Brown were engaged in a mock aerial dogfight at 15,000 feet in their P-40 airplanes. 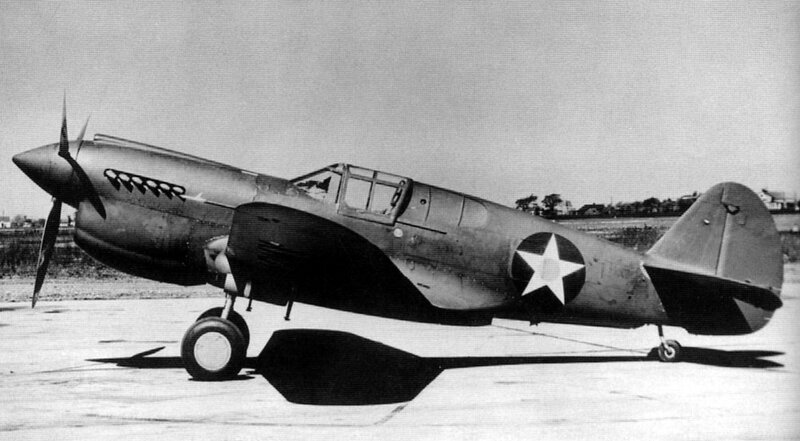 At one point, Lt. Flanders’ P-40 began to dive at high speed, reaching the speed of 400 mph. At 8,000 feet he began to pull out of the dive at which point his plane exploded in mid-air. “Lt. Flanders and I were on a combat mission when his plane exploded and he met his death. The accident was also witnessed by at least three observers on Hope Island, all of whom basically stated that after the explosion the plane fell nose first into the water. It was the opinion of the accident investigation committee that the explosion originated in the reserve fuel tank, possibly caused by a portion of engine cowling being ripped loose from the force of the dive and cutting into the tank. Both pilots were attached to the 66th Fighter Squadron then based at Hillsgrove Army Air Field in Warwick, Rhode Island. Lt. Flanders had obtained his pilots rating on May 29, 1942. Lt. Flanders was born June 23, 1917, and died just five days after his 24th birthday. He’s buried in Bellevue Cemetery in Lawrence, Massachusetts. On June 12, 1942, sixteen days before his fatal accident, Lt. Flanders had a close call while flying another P-40 aircraft, (Ser. No. 41-36514). On that date, he was returning to Hillsgrove Air Field in Warwick, Rhode Island, after a routine training flight. Just as he was landing, a strong gust of wind lifted the left wing, causing the right wing to touch the ground and send the plane into a 270 degree “ground loop”. The aircraft suffered some damage, but Lt. Flanders was unhurt. Source: U.S. Army Air Corps Technical Report Of Aircraft Accident #42-6-12-32, dated June 26, 1942.